I currently use a Canon 300 f4 lens with 1.4x teleconverter, and I'm thinking about upgrading. Until now, my subjects have mostly been birds and mammals in humid tropical forests so I'm considering the new Canon 400 f4 DO II. However, I've recently been getting more into herps and I'm concerned about the loss of close focus (1.5 meters for the 300, 3.3 meters for the 400). Which prime Canon lenses are recommended for herp photography? If you photograph both birds, mammals, and herps, how do you balance the need for close focus with the need for greater focal length? One possibility is to carry two lenses and switch in the field, but I'd be concerned about getting dirt on the lens and prefer to carry as little as possible (I do not wear a backpack). Another option is the 300 2.8 (2.2 meter close focus), which is heavier and would presumably have slower AF with the teleconverter than the 400 f4 without it (one of my main reasons for upgrading is faster AF). I'm not familiar with Canon lenses so I can't help with specifics. A minimum focus distance of 3.3 m? Whoa, thats quite large and in most cases I would say no good for herps especially if youre photographing them in tropical forest where at times the visibility is less than that. Your other alternative you mentioned at 2.2 m is also too large of a minimum focusing distance in my opinion, you're nearly always going to end up having some vegetation between you and most herp subjects at that distance. Like I said I don't know Canon (I shoot Nikon) but I just dont think there is going to be any great solution that will allow you to photograph everything from herps to birds and mammals. I have different lenses I use just based on the size of the herp! Not to mention birds and mammals. Dirt getting in the camera is gonna happen (whether you change lenses in field or not), but it can be minimized and dealt with. If you're set on using the same lens, you may want to look into diopters. They look like normal filters and you put them onto the front of your lens and they decrease minimum focus distance. I often put some on my macro lens for the truly small subjects so that I can get closer. However, using them on something like a 400mm lens for macro work would probably be pretty tricky. I did take a look at your website and enjoyed some of your shots. Thought you'd be interested that this photo: http://www.tremarctos.com/2015/09/frog/?cat=9 with the caption "This unusual frog retains its tail into adulthood." Is actually a photo of a metamorphosing Hyloscirtus sp., probably Hyloscirtus mashpi based on the location. Its not an adult yet and will lose its tail soon enough. Thanks for the diopter suggestion! I ordered a hard-to-find .62 power diopter which would give me a focus range of about 1-1.6 meters, and I'm going to rent the lens in a couple weeks to try it out. If that doesn't end up working, what macro lenses do you use? I might try to get something similar and carry two lenses in the field. Also, thanks for letting me know about the Hyloscirtus. I googled H. mashpi, and one of the biologists who described it was herping with me that night. I'll send him an email to confirm the ID for that, as well as the glass frog. Excellent, hope the diopter is a success. Remember you can stack them as well to get even closer, you do lose some image quality so if you do choose to go this route get some quality ones to minimize this effect. Tremarctos wrote: Also, thanks for letting me know about the Hyloscirtus. I googled H. mashpi, and one of the biologists who described it was herping with me that night. I'll send him an email to confirm the ID for that, as well as the glass frog. Great, were you out with the tropical herping guys? Tremarctos wrote: Thanks for the diopter suggestion! I ordered a hard-to-find .62 power diopter which would give me a focus range of about 1-1.6 meters, and I'm going to rent the lens in a couple weeks to try it out. If that doesn't end up working, what macro lenses do you use? I might try to get something similar and carry two lenses in the field. I have to ask, where did you find the .62 diopter and is it an achromat? I'm a huge fan of low powered diopters on telephoto lenses. Had a Pentax T132 (.76 diopters) for many years that was lost and which I replaced with a Leica Elpro 4 (.75 diopters), but an achromat of even lower power, especially if it was available in fairly large filter sizes would be very interesting to me. If you are going to spend the money for such a good lens, I suggest using it for your bird and mammal shots. For herp shots, get a herp lens. Even something like a decent 17-70ish zoom lens (Sigma makes a decent sharp one) would be an easier herp lens that a 400. And it would give you options at the wide end for habitat shots, etc. I have and use a 100-400 (Sony 100-400G SSM) that is tack sharp and has decent close focus capabilities down to 1:4 magnifications at 1.5m, but even though I can fill a frame with a herp, it is a pain to be 1.5 meters away some of the time. If I know I am looking for herps, my 90mm macro goes on. Another solution a lot of people resort to for this is using an older camera body with your herp lens on it. Carrying two cameras is a bit clunky, but it is great to be able to grab that closeup or wide angle shot without having to change your big lens. Another, less bulky option is to consider a good pocket sized camera for your herp shots. Some of the advanced mirrorless P&S type cameras are very good now and you could use this for close up stuff. I am seeing more and more photographers step away from their tripod mounted 600 f/4 to back off and get a wide shot like this. Chris, I think I have to disagree with you on this. 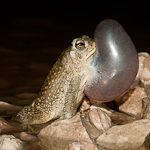 There are many different ways of taking herp pictures and many different goals for those pictures! My impression, (based on the fact that he is using telephotos), was that the OP wants to take in situ photos of herps. For that purpose an extension tube or a low power diopter added to a telephoto lens is a very effective way of working. Of course a telephoto that already focuses close on its own would be ideal, but that doesn't appear to be the case with the Canon 400 DO. Using a 17-70 or a point and shoot for photographing herps is fine if you can get close or you're looking for herp in habitat shots, but if your interest is in behavioral shots a telephoto is the way to go. Antonsrkn wrote: Excellent, hope the diopter is a success. Remember you can stack them as well to get even closer, you do lose some image quality so if you do choose to go this route get some quality ones to minimize this effect. Amazing photos! I'm especially jealous of the Banded Linsang. That's one of my most-wanted mammals in the world. Did you see Scarlet-banded Barbet when you were in the Cordillera Azul? I saw the frogs with Carlos Morochz, Mashpi's resident biologist (I camped out in his house, rather than in the $1000/night hotel next door!). He confirmed the ID of H. mashpi. It's a Pentax T160, and I purchased it on ebay. I'm not sure if it is an achromat - I couldn't find anything about it online, and I ordered it immediately as I didn't know when I'd have another opportunity to purchase one. If it doesn't work out with the lens, I'll let you know. chrish wrote: Something about buying a $7K lens and putting a diopter in front of it seems a bit off in my book. I guess I could see putting an extension tube behind it but the magnification you will gain will be nomimal. I agree! I've long wanted to upgrade my lens for bird and mammal shots, and I am loathe to switch lenses in the field (though I will try that if the diopter doesn't yield good photos). I could carry another camera body, but I am trying to get the amount of equipment I carry to a minimum. If the 400 DO + diopter is the same or better for herps as my current setup (300 f4), I won't worry about spending more money/carrying more equipment. Uh-oh, I don't think that's going to work. I was hoping you had located some large diameter achromat I had never heard of. The Pentax T160 is from a series made to be used on the old Pentax 110 film camera. I'm actually old enough to remember that one. It used 110 film cartridges, but had interchangeable lenses. I think you are going to experience two problems. First of all I am almost 100% sure all of the close-up lenses for the Pentax 110 were single element designs. There is a huge difference in performance between single element close-up lenses and the two element achromats. I wouldn't expect sharp results with that close-up lens, especially on a telephoto, (though the T designation means it was designed for a telephoto lens, so I could be wrong). The second problem is how are you going to mount it? Diopteres work just like reading glasses. They are positive lenses that you place in front of a main lens to get it to focus closer. I'm assuming you are planning to use this in the 400 DO's drop in filter slot? I have no idea how adding the positive lens behind all the other lens elements will effect focus. Please try it out and let us know! I'm very curious. bgorum wrote: Uh-oh, I don't think that's going to work. 1. Change lenses or add extension tubes in the field. I don't think this would work well for me, as I spend a lot of time in humid conditions. 2. Carry two camera bodies in the field. In this case, I'd probably have to purchase a new camera body in addition to two new lenses. The only body I have other than my 5D mark III is a Canon Rebel t2i (EOS 550D in Europe), and I suspect I wouldn't be happy with that. 3. Stick with my 300 f4 - I find the close focus of 1.5 meters is good enough for most in situ herp shots so far, though anything more than that would be problematic. 4. Upgrade to a 300 2.8, and sacrifice .5 meters of close focus. How about just investing in a bunch of desiccant and and putting your gear away with that when ever you are not using it? I'm sure photographers in the tropics change lenses. Hell, where I live its always dusty as hell, but I still change lenses when I need to. I try to change them quick and out of the wind and when I get home I just make sure to blow out my mirror box and sensor. I'd suggest a similar approach for your situation, but then again I've never worked in the tropics. If you can figure out a way to be able to change lenses, (and I think you can), then extension tubes or a dedicated macro lens like Chris suggested plus the 400 f4 would be a pretty sweet combo! This would be a pain and would present a potential risk of humidity getting inside the camera. But pros do this all the time in the field. A few dessicant packs overnight can usually remove any residual moisture. The Canon t2i is a perfectly capable camera that can produce outstanding shots. Remember the camera is largely a box to hold the lens and the sensor and that camera has a good sensor. I think using this older body with a good herp macro lens would be the smart option and using your 5D with your bird/mammal lens. You would then have a setup for great distant shots and great herp shots. The other advantage to this approach is that if your 5D failed you in the field, you would have a backup camera body with you. I had a camera body fail me in Panama and I will never travel with just one camera body again. Again, this with the a macro lens/2ti combo as a herp lens is an obvious step. Although I don't think a 300 f/4 is a great bird lens, it is adequate. A 400 is a better choice. The Canon 100-400 L is a very popular wildlife lens. I see absolutely no benefit from this approach. Yes, you get an extra half-stop of light from the 300 f/2.8 but with a capable camera that can get good high ISO images that extra half stop is irrelevant. And for most shots, you wouldn't be shooting at f/2.8 anyway. You could buy the 100-400 L USM IS for a third the price of the 300 f/2.8 and have a longer lens with more options. I would seriously research the highly rated Sigma 150-600mm f/5-6.3 DG OS HSM Sports which sells for 1/3 the price of the 300 f/2.8. If it were me, I would spend the money on the Sigma 150-600 (which also gives 1:5 magnification) and then spend a few hundred more on good flash gear and a macro lens. Then spend the extra few $K you saved on an extra trip somewhere or another week in the field!